I DID IT! Yesterday I completed the Walt Disney World Marathon in 4 hours, 31 minutes and 3 seconds. I still feel a runner’s high despite my ever-growing aches and pains. The experience itself was amazing. I’ve really fallen in love with the race environment. Seeing families and friends cheering on a loved one, little kids sticking out their hands for a passing high-five, strangers offering Sour Patch Kids at the top of a really tough hill– not to sound cheesy, but it brought tears to my eyes. The sport has great camaraderie. Knowing the inspiration, dedication, and perseverance of my fellow 20,000 marathoners creates an atmosphere charged with support. A marathon is so much more than race day. The gospel choir at mile 26 nearly turned me into a blubbering mess. It gave me the energy to sprint that final two tenth’s of a mile when all I wanted to do was stop. I also love Disney races. Yes, there are a lot of people and yes, you have to start at an ungodly hour (5:30am) but they know how to entertain. Running through every park put a gigantic smile on my face. Seeing Rapunzel, Doug, Flynn’s hideous soul patch, Mrs. Incredible, Captain Jack Sparrow, and the other characters along the course helped distract from the endless miles. I was having the time of my life up until about mile 19.5 when running became the last thing I wanted to do and I seriously considered stealing a medical volunteer’s bike. This race is a biathlon, no? But the suffering and pain just made the encouragement that much more real. My wonderful friend Danielle was a medical volunteer and treated me to a quick ice wrap, Tylenol, and Biofreeze slathering. I look like death and have crazy “I just finished a marathon” eyes. Great. Love the Marathon recap….always wondered what it would feel like to finish a marathon, now I know!!! It’s a wide mix of emotions that’s for sure! And it’s hard haha. Congratulations! I am training for my first marathon and would be thrilled to finish with your time (mine might be closer to 5)! Great job…. Thank you! My last long run was a pace of 11:07. It’s amazing what adrenaline can do! Good luck with your marathon! First of all: huge congratulations on finishing the Disney Marathon. 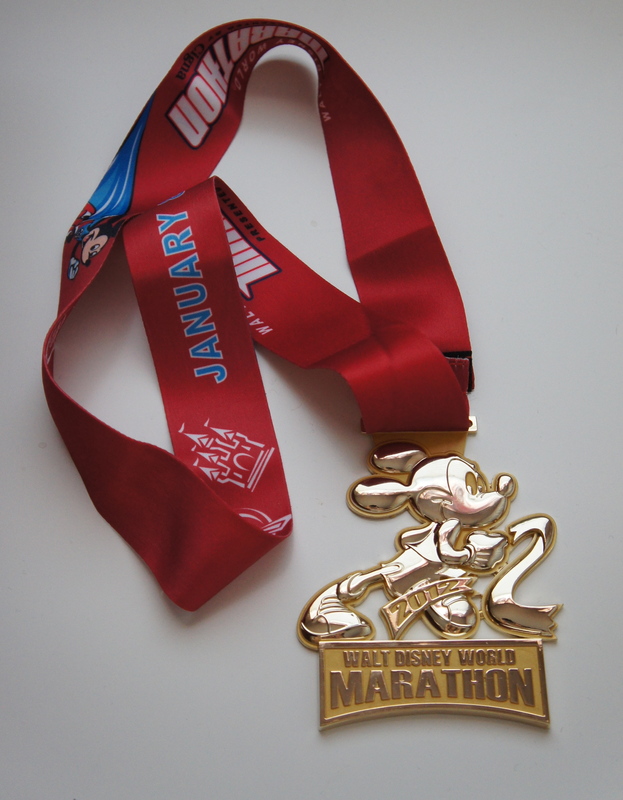 I’ve run two runDisney races and have loved them to death, so I’m thinking of doing the 2013 WDW Marathon. Secondly: definitely run Chicago! I’ve run it thrice and it’s my favorite race. I’m happy to hear positive feedback about the Chicago Marathon! I’ve marked my calendar for the February 1st registration. 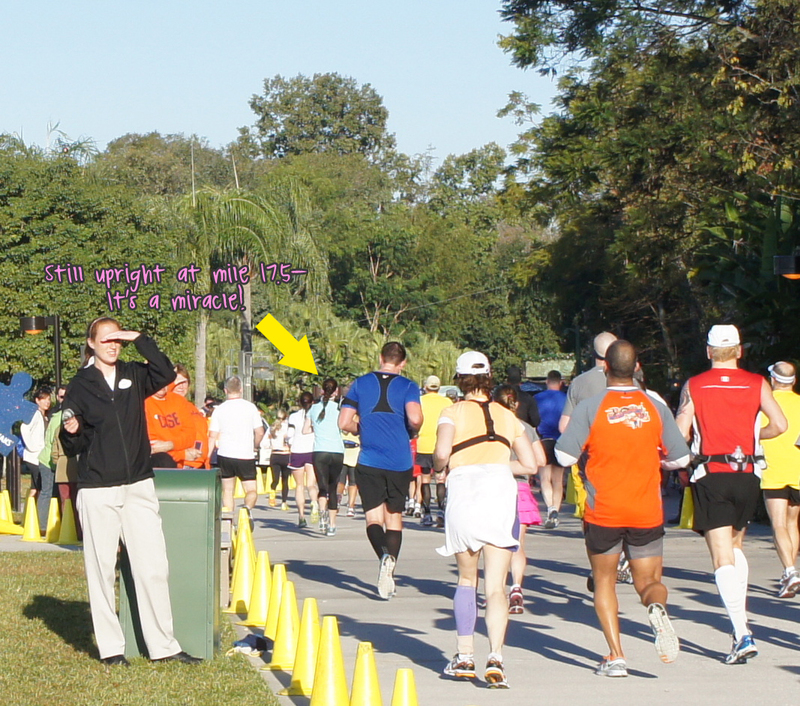 The 2013 WDW Marathon should be great. It’s the 20th anniversary! Thanks, Lulu 🙂 Can’t wait to see the official ones… eek. Nothing good ever comes out of official pictures. Nothing.